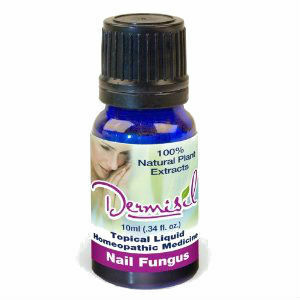 When we were researching Dermisil, we noticed that it was very different from the rest of the anti-fungal treatments on the market. It only contains 2 active ingredients. One of these ingredients is alpha-terpinene-4-ol, also known as tea tree oil. The other is cineo, better known as lemon grass oil. Since most of the other products we have reviewed had a lot more ingredients, it piqued our curiosity. They not only offer this topical application treatment for nail fungus, but they also offer a lot of other products unrelated to the treatment of nail fungus. The price of Dermisil can be as high as $49.95 in some places. This is quite steep, especially considering what you are getting in the bottle. After reviewing the ingredients, we found that the other products we have listed above, are more effective and contain better ingredients. If you wish to try this product, you should read the return policy thoroughly first. The policy was extremely complicated and too difficult to sum up in the space we have here. Our conclusion of this product is that we would like to see more effective and stronger anti-fungal ingredients. They do offer some information on their package, but we would like to see the information on the package focused more toward the main ingredients and how their product works. We also feel that they need to improve their return policy and make it easier for their customers to understand. Jack Stevens	reviewed Dermisil	on January 18th	 and gave it a rating of 2.5.